Last weekend I traveled to Weiser for my first book signing with the Idaho Authors’ Community. An IAC member recently commented about how our group was so much different from other writers’ groups. “We have heart,” she said. I really saw this in action in Weiser. There was no sense of competition. We encouraged each other and promoted each other’s books. We made sales for authors who couldn’t be present at the signing and had engaging conversations with locals. It was truly a community effort with a whole lot of heart. I look forward to visiting Weiser again. I had the best french dip I’ve ever had at the Homestead Café. 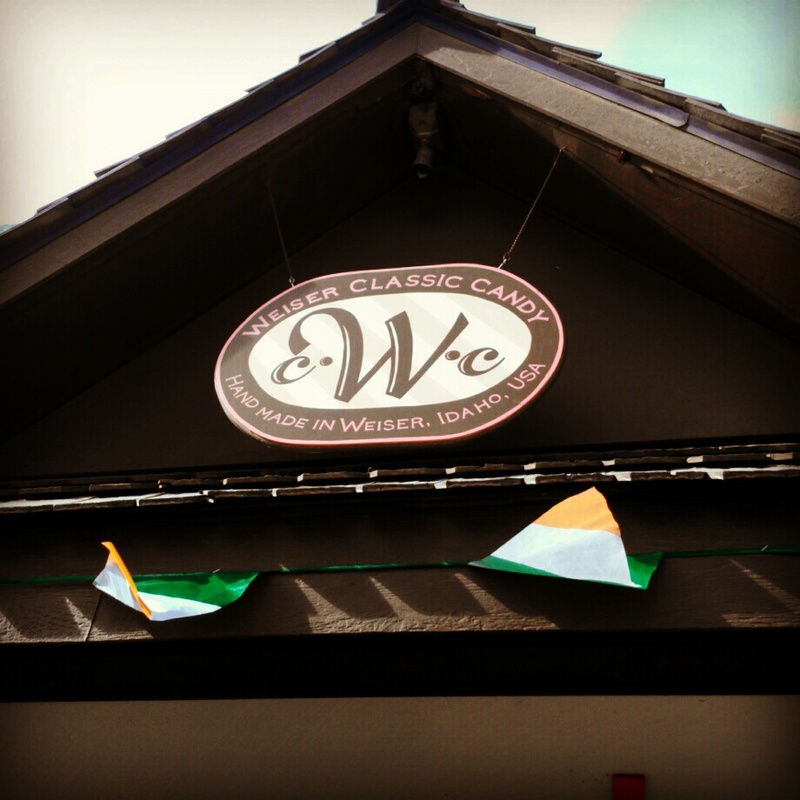 I also bought fudge at Weiser Classic Candy, but my husband ate it all before I had a chance! I think another trip is in order. This time I will go during the fiddle festival and be sure to eat my sweets while I’m there. 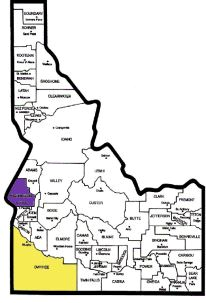 The next IAC event/stop on the Mama’s Purse Book Tour is at the Lizard Butte Public Library from 1-4 pm in Marsing in Owyhee County (shaded yellow on the map). 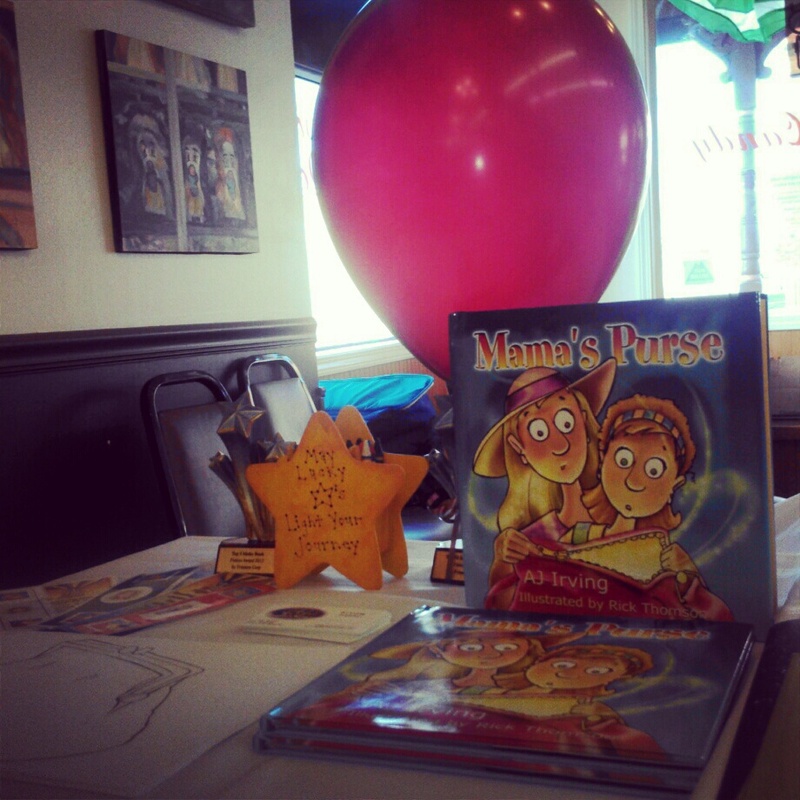 The Mama’s Purse Book Tour heads to Weiser tomorrow! 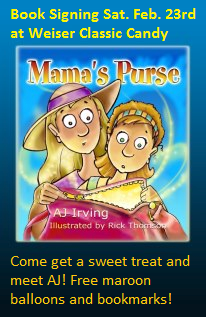 AJ will sign copies of Mama’s Purse from 1-4 pm at Weiser Classic Candy.